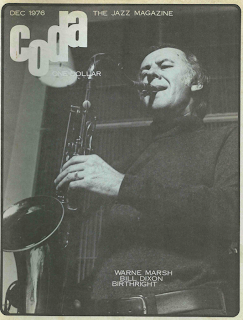 Here is an interview with Warne Marsh from the December 1976 issue of Coda Jazz magazine. Warne was intervied by Roland Baggenaes. I've also included Marsh's obituary by Mike Hennessey, which I believe was from Downbeat magazine. Thanks to my good friend Mark Sowlakis for sending this.